Ok I admit this one may well have the rose tinted hue of childhood memories for me and so it’s possible I’m biased. 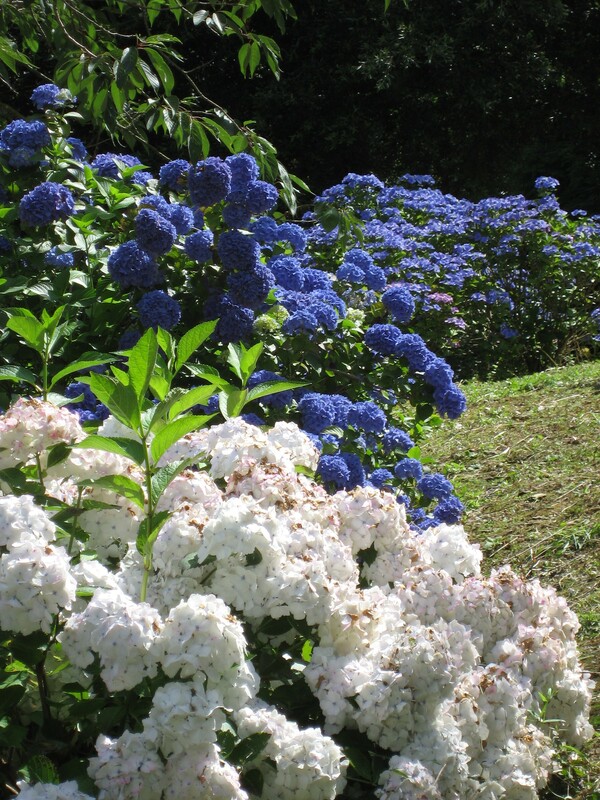 Every year our family went on holiday to Cornwall and every year we went to Trelissick gardens near Truro. Fuelling my nostalgia further, it became a tradition to take a picture of my sister and I sitting on the inviting branches of the Japanese cedar (Cryptomeria japonica) near the house, so we have the same photo of us in varying stages of growing up. To be honest it would be hard for me not to go into a dream sequence/flashback whenever I talk about the place. Still, it’s undeniable that Trelissick is one of the more interesting and ambitious gardens in the UK. This is all the more impressive when you take into account that it was originally built way back in 1750. That said, the gardens didn’t take on their current lustre until the latter part of the 19th Century when they were upgraded with the customary ambition and scientific zeal of the Victorians. Under the care of the Gilbert family the gardens changed dramatically, incorporating a massive variety of plants of all different and truly exotic species, including Rhododendrons and giant water lilies. Taking advantage of the steep slopes that descend to the river Fal. The development continued into the 1900s as the Copeland family took the reins and continued building the eclectic and whimsical gardens into what they are today. Both generations were fascinated with the effect of the mild Cornish climate on plants and following their interest added ever more exotic plant species, creating a unique blend of traditional and exotic planting that makes the whole garden feel truly magical. From the secret garden with its cottagey feel, and the thatched hut looking out over the estuary, it is a short walk to a grand open lawn and the late summer herbaceous borders ablaze with colour, then down into a sylvan labyrinth of narrow meandering paths with, for a young explorer, strange and wonderful plants. All this with the stunning views and sea air makes Telissick a garden gem and one I heartily recommend visiting. The National Trust now manage the gardens and the house is now open to the public with its grand orangery looking out of the countryside to the sea and in the outbuildings you will find a great gallery showcasing a lot of talented local artist’s work. We have spent much to much on collecting beautiful pieces of art from here. It all makes a great day out.